Not a true Fuchsia, but it does have long pendulous pale yellow flowers. 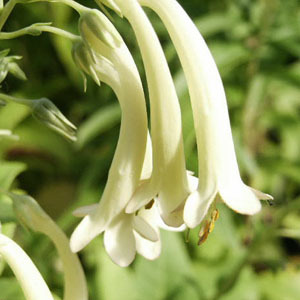 It blooms throughout the summer and is very attractive to hummingbirds. It prefers some shade in hot summer climates. Spreads by underground runners.